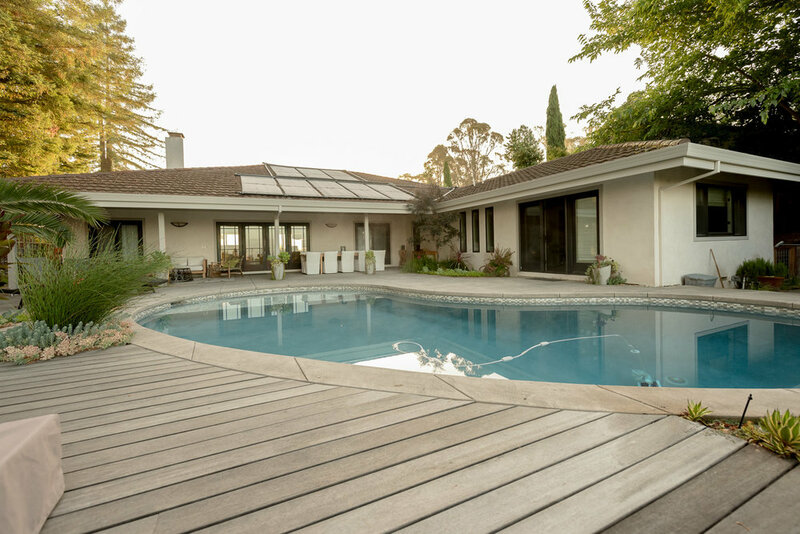 The original owners remodeled this house and existing swimming pool to create a more modern, single-level approach. The covered patio now extends to the pool decking. Working closely with the client, we designed a cantilevered Ipe deck with glass railing to extend the usable space around the pool. 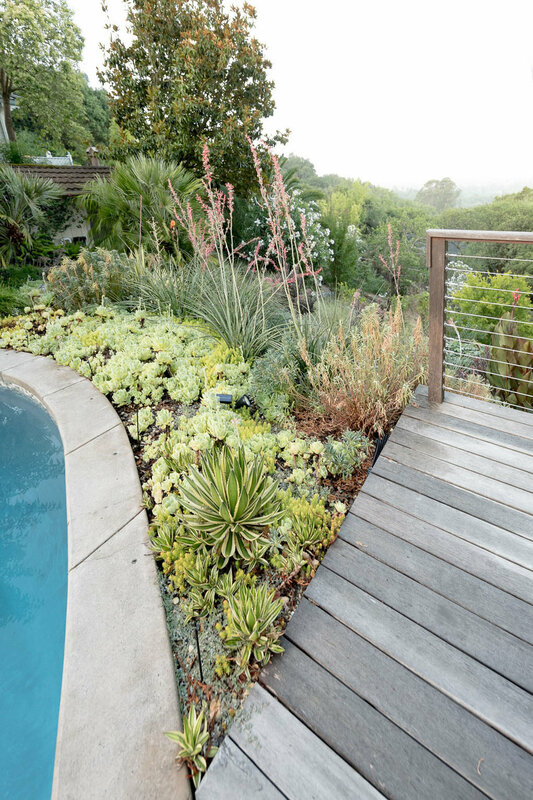 I selected plants around the pool to incorporate the existing palm trees and create a tropical, lush environment—while also preserving the distance hillside views. The front, steep-sloping hillside required stabilization as well as esthetic improvement. 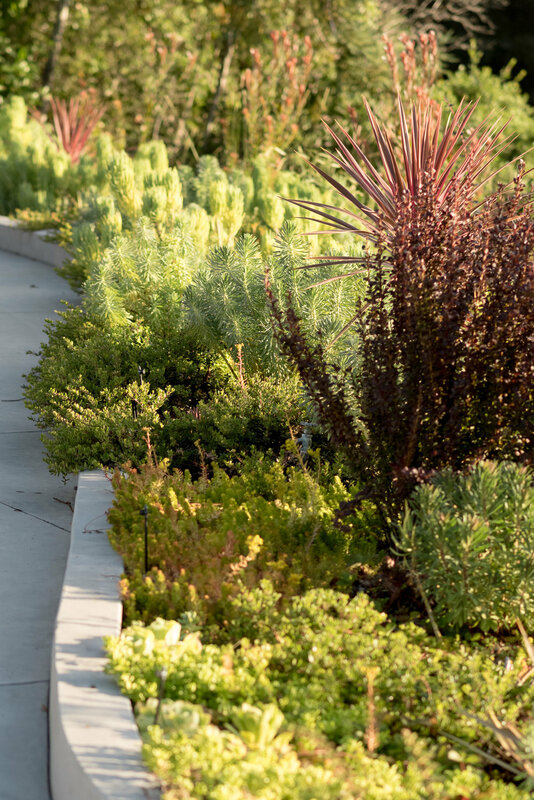 A concrete retaining wall was built at the base of the hill to create stability and was planted with Arctostaphylos, Pennisetum, Barberrys, succulents and Leucadendrons. "Everything we wanted and more. 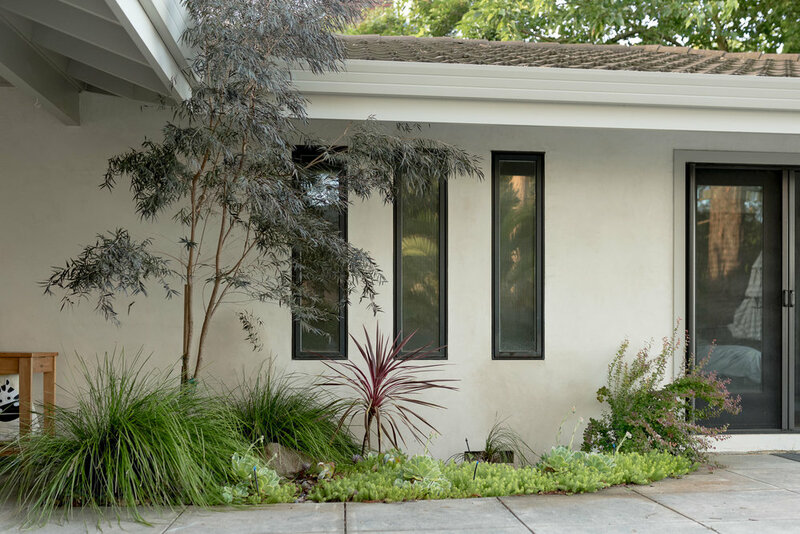 Margaret has designed our landscaping at two different homes in Healdsburg, CA. She is so talented! We loved the plans she put together for us - and the properties were very different - so she is excellent at creating designs for different styles. 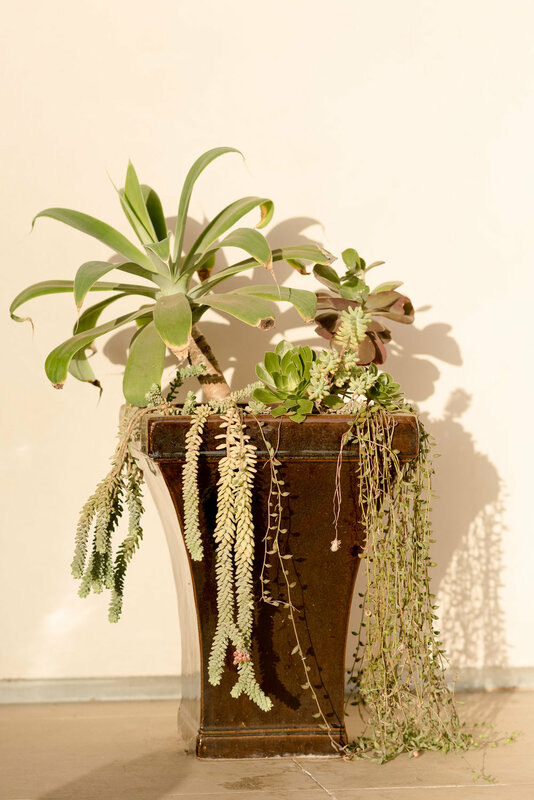 Margaret listens to our ideas and needs, brings plant samples and photos so we can see what are options are, and delivers a beautiful end product." 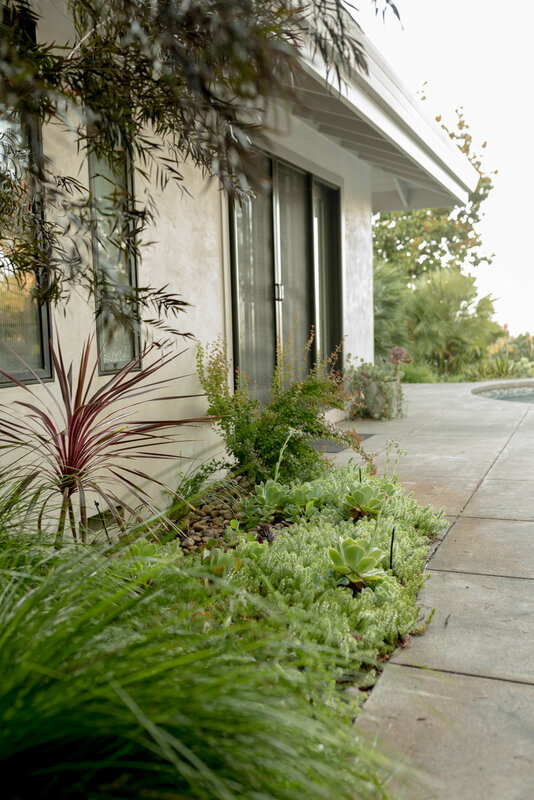 — Susan H.
If you are interested in Margaret designing and installing your landscape call (707) 799-9118 or click the button to send her an email.